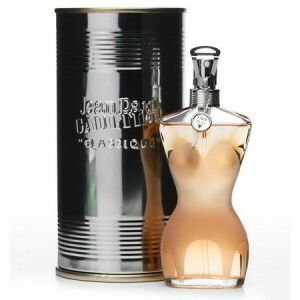 Jean Paul Gaultier Classique EDT is a romantic and sensual fragrance. Jean Paul Gaultier Classique EDT 100ml. is a romantic and sensual fragrance made from a blend of floral and fruit essences. The product was designed for a woman's self-confidence, elegant and refined. Charm filled essence of the original design of glass resembling the silhouette of a woman. The fragrance opens with aromas of orange blossom, anise, pear, rose and mandarin essences that continues with iris, ylang-ylang and orchid. Base fragrance was created agreements irresistible musk, amber and vanilla. Eau de Toilette Jean Paul Gaultier Classique promises an unforgettable experience and will catch the eye of everyone around you! Jean Paul Gaultier has grown female environment, and because it is strong love for a woman. In his work he admires, praises and glorifies it. To create a fragrance designer inspired Classique woman who always remained his ideal of eternal femininity - his grandmother. Spicy, fresh fragrance Classique will make you feel unique and memorable, now you know even with your eyes closed - on thin smell magical spirits and aroma of sweet roses will help awaken the senses. Today you - Queen! Intense Ladies EDT Jean Paul Gaultier Classique is a beautiful, romantic, sensual and subtly provocative scent consisting of a mix of playful floral - fruit essences. It was specially created for confident, elegant woman with a refined taste. Feminine charm eau de toilette Jean P. Gaultier Classique, embodied by its creators as well as the appearance of the bottle, which resembles a silhouette of a perfect female body.